Here’s a quick tutorial to create a watering can from a milk jug: All you need is a milk jug, a large needle, and a cigarette lighter. Use the lighter to heat the needle (be sure you have something to protect your fingers from the hot needle), and then poke it though the lid (from the inside out). Heat the needle again for each new hole. This project is super easy, and I recycled! Woo-hoo! *I actually did it wrong the first time–just so that I could tell you what not to do. When I originally saw this idea, I did not read the directions. I just grabbed a nail, hammered some holes in the lid, and went out to water the garden. The holes were way too big, so the watering can was a little too powerful. Stick to a needle! What a cool idea, thanks Heidi for sharing this wonderful tutorial! What a brilliant idea! I can’t believe I never thought to do this. Thanks so much for posting on Terrific Tuesdays link party! What a great idea. My watering can just broke. Perfect timing! Great idea! We only buy milk in cartons, but maybe I’ll get a gallon at some point so I can try it too! Thanks for sharing at The Fun In Functional! That is totally brilliant and so simple! I had seen this on Pinterest but couldn’t figure out how I would get the holes right. Thanks for sharing how you did it with a needle! I love a FREE repurpose project. Great idea! Thanks for sharing! Awesome, awesome, awesome idea!! Thanks for sharing this one. What a clever idea! And thrifty too! What a neat idea. 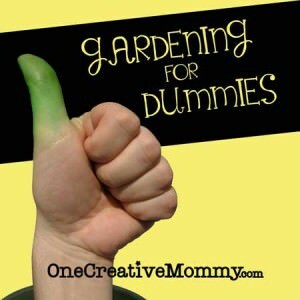 My younger kiddos would love to help with the watering :) Thank you for sharing at All My Bloggy Friends last week. I can’t wait to see what you share this tomorrow! 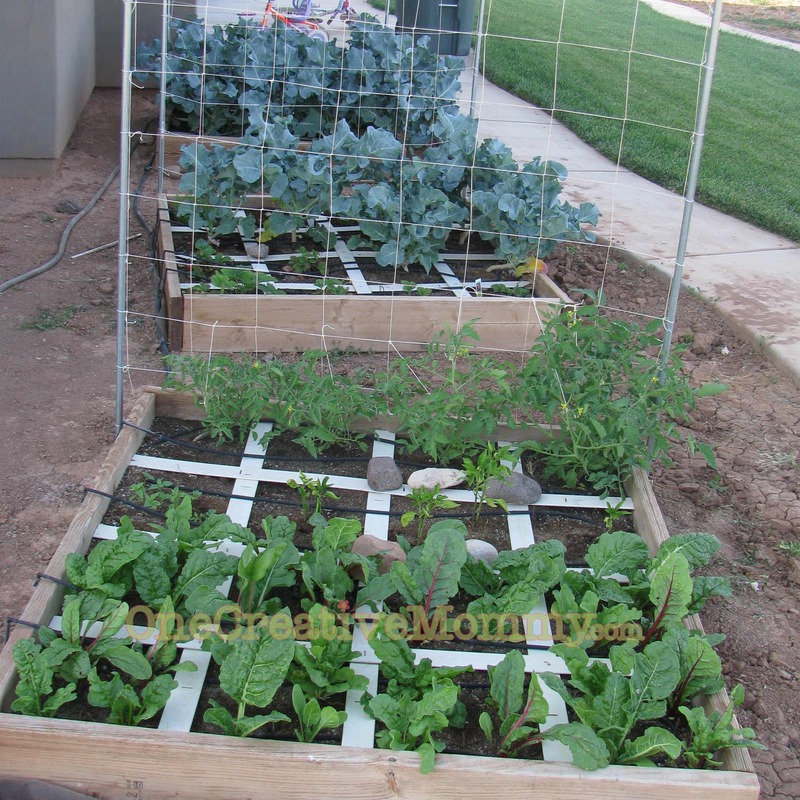 This is a great reuse project. Thanks for sharing on Tout It Tuesday. Hope to see you tomorrow! This is such a great idea. How easy is this? Thank you so much for linking with my Wednesday Adorned From Above Blog Hop last week. I have listed your posting as one of my featured links for this week. 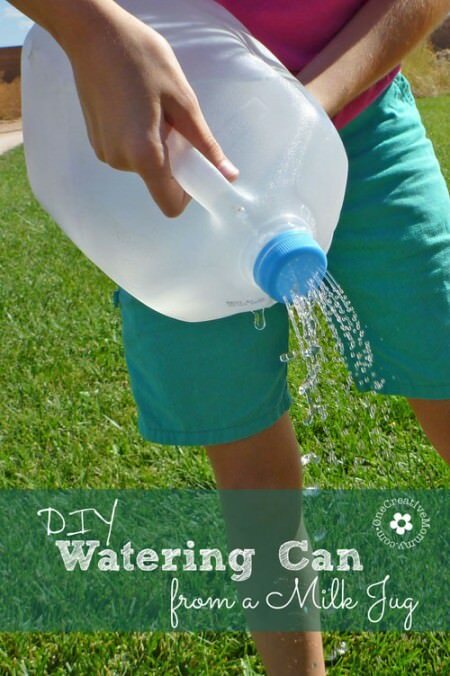 What a nice simple way to make a watering can! this is great! I love a good recycling project! I did this before and adjusted it to my needs. To cover a wider area I poked several holes (to the cap) with the needle at different angles (do not twist the needle), it is a trial and error, and it worked. For a wider area I poked the holes (the same way) but doing it at the jug neck. Do not follow the jug curvature, do a straight line as far as you consider appropriate to your needs. Use the poked cap and jug at the same time, or replace the cap. 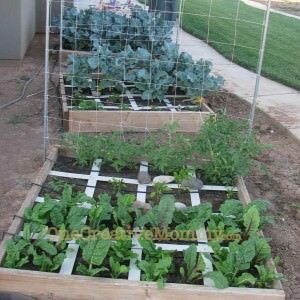 If you need to use either one in specific places just turn the jug to have the holes on the neck on top, this way you use the cap to water the plants. Or build two for specific job. The higher you hold the jug, the wider the spry area. Try two litters soda jug for indoors since it provides smaller spray and weight. Plus hold this one upside down, water will stop flowing and a drip may start. Use it to feed plants slowly until needed again. It is trial and error, again. I love this idea, I am glad you are spreading it . So cool! and it’s an idea that promotes recycling and sustainability. 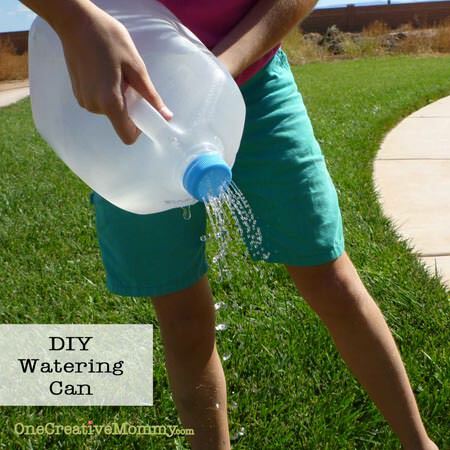 Love this idea of a DIY watering can. I hope you don’t mond me sharing it on my blog. Great website too. you have a lot of great ideas. Such a great idea! I want to have a garden so bad and I know my daughter would love it and be asking all the time “momma whats that?”. Now she can help me water :) I’m glad I found you on the One Project at a Time Link Party. I’m really liking you articles, they’re all so interesting and smart, how could i never thought about using a milk jug like this.